Welcome-Post, Do Want and free talk! Hiru here - new to the group, well not entirely since I was kinda stalking it but never got the right chance to join Livejournal. True story indeed. But, anyway! You can consider this as a "let people know what are you obsessed for" post. 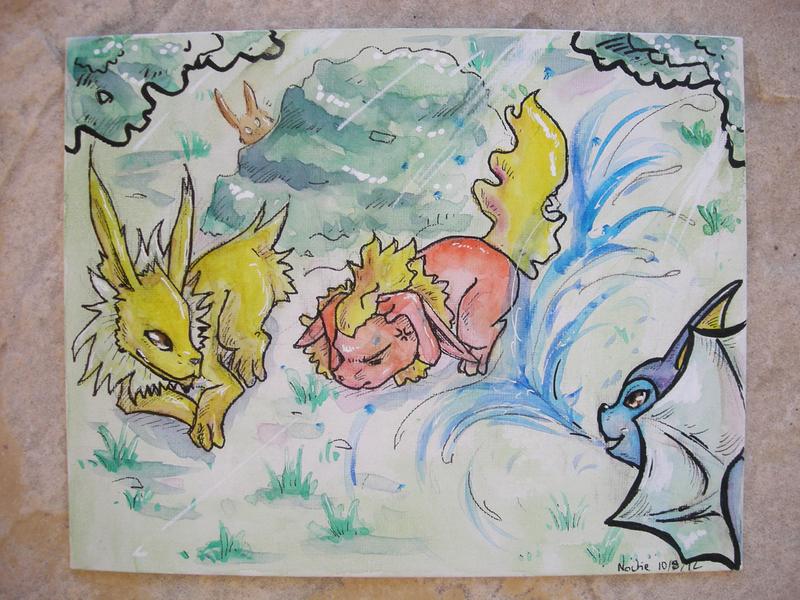 Jolteon, Flareon, Espeon, Eevee - Expecially the first three, currently I saw some charms of Eevee here in the community which are simply, definitely adorable and I hope to get a few of them. Charms, cards (holo and not!) as well as plushies, whatever in commerce. D'aww. Stunfisk - Yes I'm serious. Dead fish is awesome. My followers on Twitter noticed that I always incluse Stunfisk in my teams so I guess we are a canon couple by now. God blesses fishes. 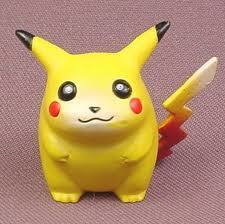 Raichu - Unexpected because I don't really mind Pikachu but always been fascinated by Raichu's design. One of my favorite, as well as being part of one of my favorite type - Electrics, rawr. Before anyone shares some of their awesomeness with me in the comments, let me clarify! I'm European, Italy to be precise. If this does mean international shipping for sellers, better to know it first. Second, I usually use Paypal as method of payment since it's both safe and fast. I think we're done for now? I'll update my collection with some goodies in about days, stay tuned! Hey guys! After many months of thinking and debating, I've finally made a very hard decision; I am quitting my raichu collection for the most part. I won't go into details why, but most of it is for sale here (some bits I couldnt bear to part with however) either for offers or straight sale. A lot of it is for the price I paid for these items. Also selling some gengar items! Feel free to haggle as prices are off the top of my head...PLEASE dont be unreasonable with your offers however! 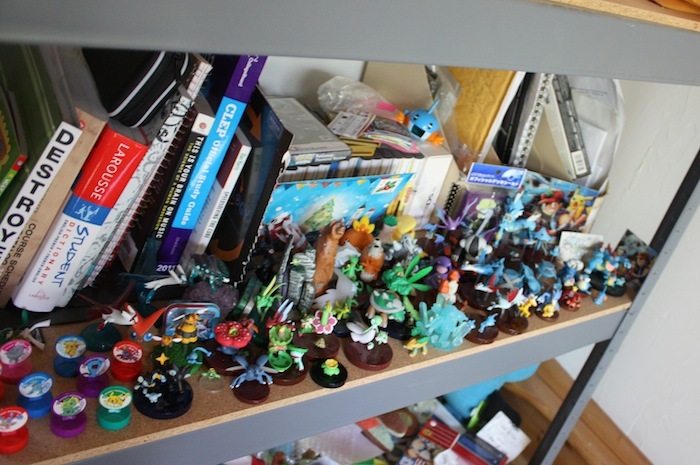 A lot of these took a very long time to track down, and some are extremely rare! CLICK THE BANNER OR THE LINK TO BE TRANSPORTED! The Muskedeers decided to take their protégé berry picking! Bell Plush and more auctions! I've got a small number of items up for auction this time, with one especially epic addition…maybe you can spot him in the teaser pic below? There are also some figures and a few stamps! Click the photo or Here to take you the post! 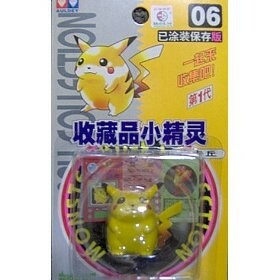 I've wanted one of these original TOMY Pikachus ever since i can remember, So I thought I'd finally do a want post for it. Might be a little too popular to get my hands on 'em just yet, but can anyone sell me or direct me towards a good place to find a Liepard MPC plush and/or a Liepard Zukan? Lots of booties on eBay but I'm holding out hope for the real thing, heh. Hello all. I regret to say that I had surgery a week or so ago and am in recovery. Sadly, I have to let some things go that I wouldn't otherwise to at least help cover the bills. But my loss is your gain! 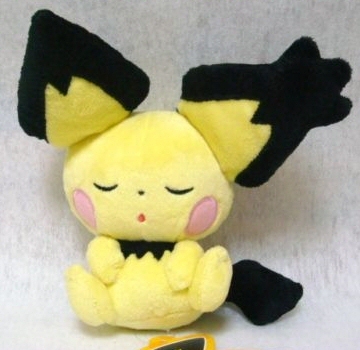 I have these two things up for offers: my Giratina-O Pokedoll (As in, no leggies), and this crazy bootie pika pillow. Hi! 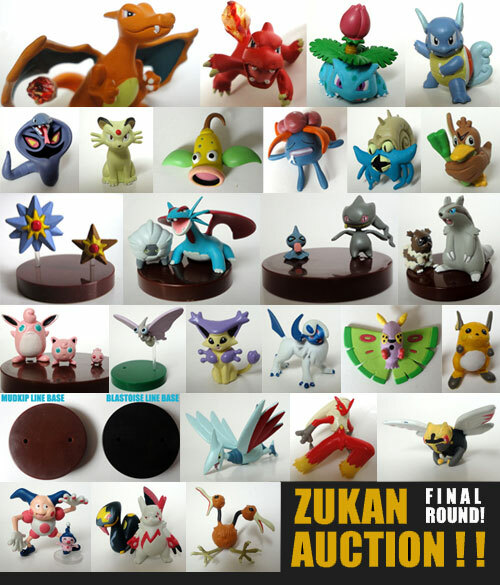 this i my first direct sales post, up for sale some great zukans from diferent setsm MIP, complete lines and loose.In good condition, and a couple of broken or missing pieces,check description and the pictures for details under the cut. Shipping status: i though postal service strike was over, since i recieved a zukan package, but i went to my post office and they told me the strike is still on, it's been more than a month now :S packages are going out, but not in, so i was lucky to got mine, just few people is working so packages are going out slow, and they pick them just on mondays, so i'll be shipping all pending packages today and tomorrow, unless you want to combine with something from this sale or the auction. Sorry, and thanks! 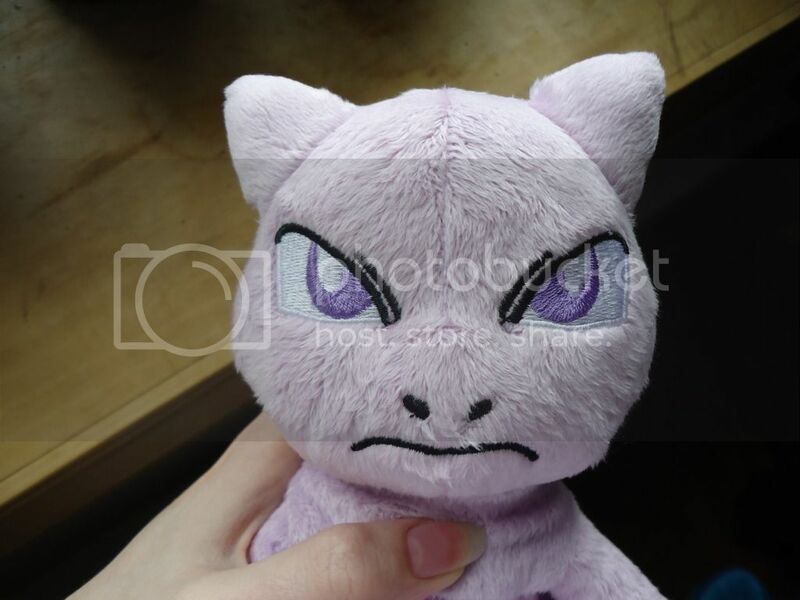 Does anyone have non-flat Skitty merch for sale or trade? 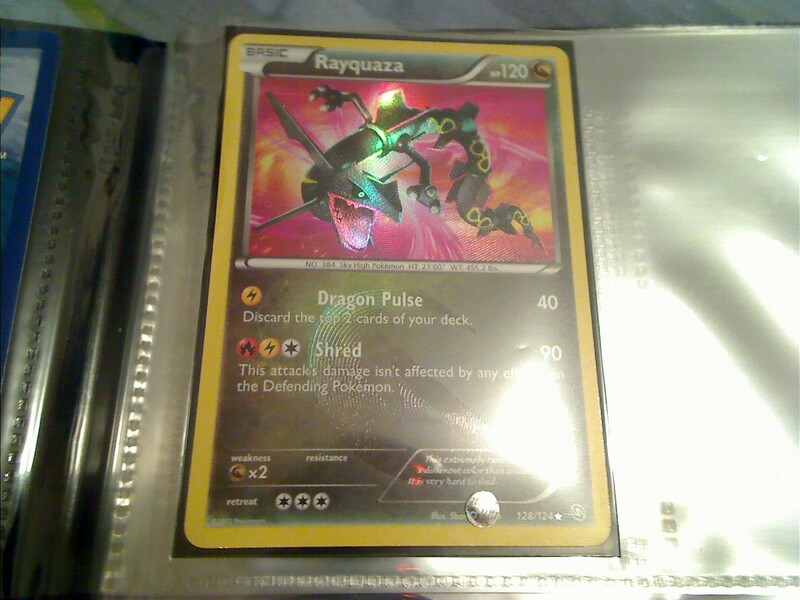 *Secret RARE* Shiny Rayquaza Dragons Exalted TCG Auction Reminder! 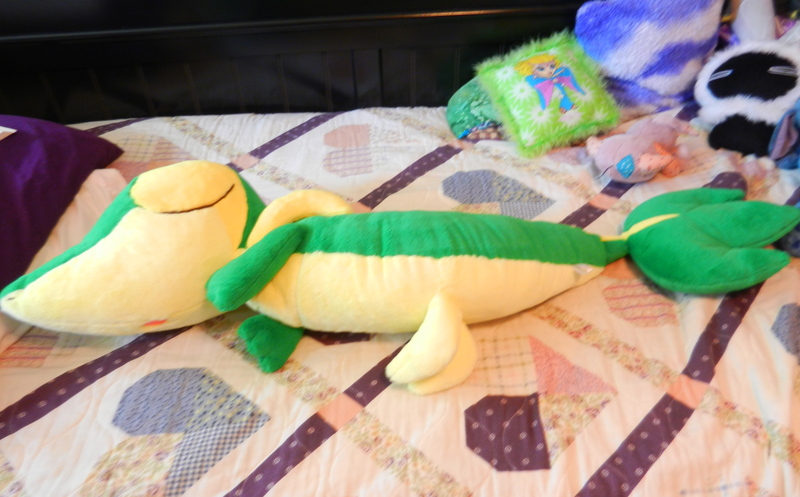 Auctioning off my SLEEPY SNIVY plush! So I'm really sad to do this, as I just got him in February, but he just takes up TOO much space. I have too much stuff in my room for my own good. Everyone who won something has been messaged with the amount they owe, you all have 48 hours from the time that message was sent to get in your payments. Remember, what I sent you is Payment 1 of 2. Payment 2 will occur when I receive the items and calculate your shipping. I will be leaving feedback AFTER payment 2. There are a few people who haven't paid yet, I will post them under the cut just in case they have not seen their message yet. All persons who owe are listed both here and individually in the PM I sent you. This way your totals are fully out there and there is no "oh, I never got a message with my total" or "oh. I didn't see the post". There are both PMs and this post for organization and to assure people know what we owe. Also, we are not doing well on the Little Bit O' Everything GA. =[ We really need to raise quite a bit more if we wanna win, so get those bids in, there are MANY things still at their very low start prices! Less than 2 days to do this! CLICK HERE to be transported to the GA. Or the link below. I'm on vacation and I did today my first painting canvas ! A package arrived in the post today! Inside was the stuff I bought from fiztheancient, I was so happy! 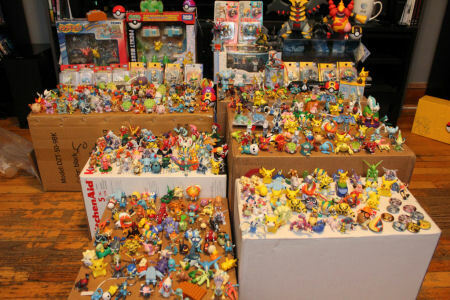 :D I bought Pidgey and Sandslash tomy figures, as well as a silver Staravia chou get figure. Pictures under the cut! It was awesome to receive my first package from the community, I look forward to many more! I'm heading to Edinburgh for a week tomorrow, I'm hoping to get some more Pokemon manga from the manga store we always go to. All of these rules should sound familiar - if not, please (re)familiarize yourself with our community rules and guidelines. It's been a while since we've had a rules reminder and we could all use a refresher. ★ Sales Posts: You may only update the community with your sales if you have made major changes to your stock or pricing. Adding a few new items does not warrant a new advertisement - "sales reminder" posts are not allowed. As always, a TEXT sales link on the bottom of your other posts is perfectly fine, but we should not be seeing the same sales banner or photos every other day. Furthermore, be reasonable with the prices you are willing to pay for your wants! If members have commented with price adjustment suggestions, please take their advice to heart. You will be warned if you have a habit of making wants posts only to excessively lowball sellers. 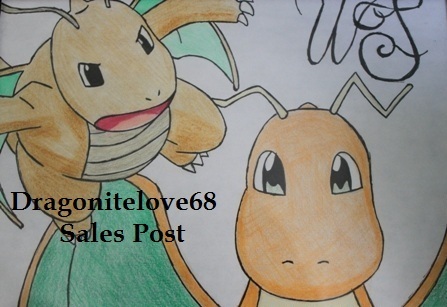 ★ Off Topic Posts: We are a COLLECTING community for Pokemon MERCHANDISE - if your post is not related to collecting Pokemon merchandise, it is off topic and will be deleted with or without notice. Please also refrain from posting personal details or posts not really relevant to a community setting. When in doubt, ask yourself if a thousand+ people need to see your post. ★ Picture Requirements: This is one of the easiest rules to comply with yet it is broken rather frequently. Pictures outside an LJ cut are allowed to be 500px wide and 600px tall - this is a total amount, so you can post one 500x600 picture, or two 500x300 pictures, or three 500x200, etc. We won't be sitting here with a ruler measuring all your pictures but it's very obvious when this rule isn't being complied with. Just put your pictures under a cut, we hate having to delete otherwise awesome posts because of picture problems! ★ Sniping Rule: We have seen many deviations from the community-wide "5 minute sniping rule" lately. If a bid is placed within 5 minutes of the auction's end time, the end time will extend for an extra 5 minutes and will continue to extend until a full 5 minutes have passed with no bids. This rule must be followed in all auctions hosted or advertised on the community. This should be fairly straightforward, but please ask for a clarification if you do not fully understand. 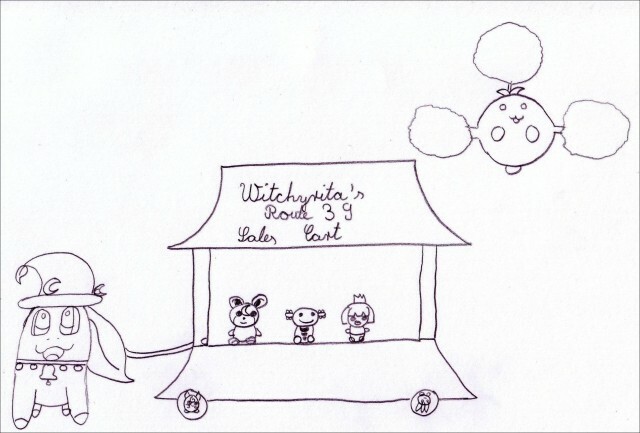 ☆ "Is This a Bootleg?" Posts: The latest trend seems to be asking if XYZ item is a bootie or not. We have a handful of excellent tutorials about identifying bootlegs, please utilize these resources instead of posting to the community unless it involves an exceptional circumstance. ☆ "Inactive" Sales Posts: Another trend we'd like to nip in the bud is posting sales and then disappearing. "I'll be back in a few hours" or "I'll reply in the morning" at the end of new sales posts is becoming quite common and is rather silly - these sales end up sitting "inactive" and cluttering the front page. Obviously if you have to go you have to go, and if your sales are getting 100+ comments you need to take a break at some point, but it shouldn't become a habit. This also applies to other posts (such as wants) but we've seen it most often with sales. This is not a new rule, just something we've noticed lately and would like to keep to a minimum. 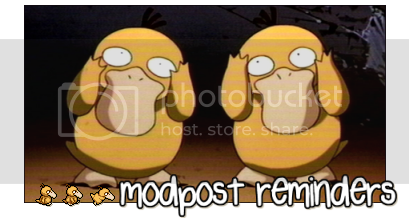 If you have ANY questions or concerns, or ANYTHING you'd like to see in the future, please please please comment here or contact a mod in private if you'd prefer. We strive to keep the lines of communication open and members' concerns, complaints, or suggestions are never a bother. We're here for you guys! Reshi Get + Some Random Collections Update! So this morning I woke up at 6-7 to have the most awesome thing arrive on my doorstep! What could it be? Find out under the cut! Guess who finally got sales permission??? AWW YEAHH! Now! I can finally tell you all about my plush commissions! 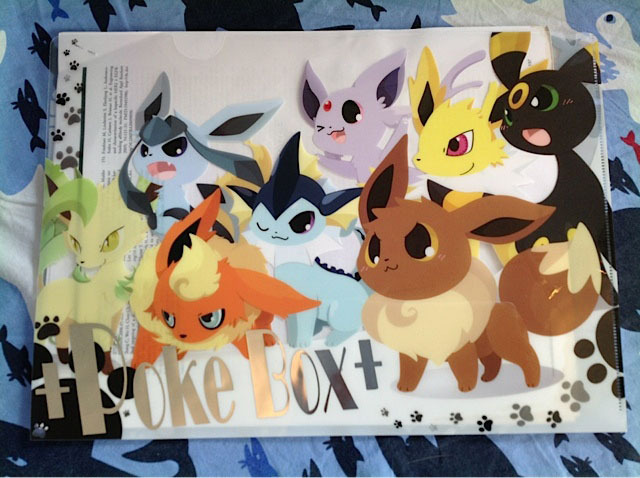 +Pokebox+ Group Orders now being taken! Hi guys! This isn't a group buy so much as an online pick-up, so let's get going! I am ordering pretty much all of their flat catalogue in. Payment is due within 24hrs of your items being confirmed. 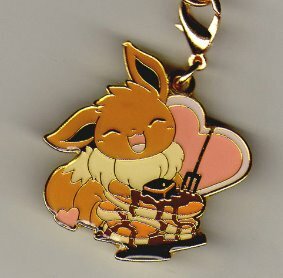 NOTE: If you want other Eeveelution charms, they are unavailable until Monday, as we do not know the stock levels (if any). You can claim and pay for an Eevee charm in the meantime, and it will be held until we find out about other Eeveelutions. I will not hold an Eevee charm without payment. New Dot Sprite and Poketime Goods!! 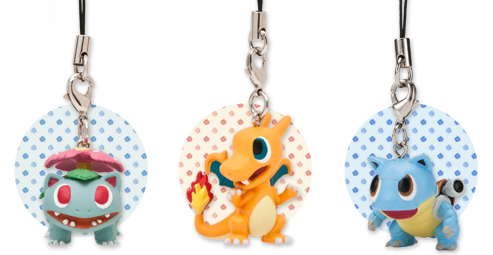 We have a whopper of an update for upcoming Pokemon Center goods!! As always, everything will be up for sale at Sunyshore!! Hey everyone! I am currently at the Pokémon World Championships. I will be camping out on the retail store line tonight and tomorrow night for merchandise. As such, I have made a pickup post so you can get some of this year's Worlds Swag!! I will be attempting to pick up each item in the quantities shown below. Nothing is a guarantee, but since I am line-camping, there is a 99% chance I will get my quotas. You will not have to pay for these at all until I get them in hand, which will be tomorrow and the next day. Here we go! Thanks guys! Please comment if you want anything. Prices do not include shipping, and remember, no guarantees, but I will be (most likely) one of the first people in line. Ok, this will be my last time posting this wants post for a while because I don't have any luck when finding any of this merch. BUT its worth a shot! 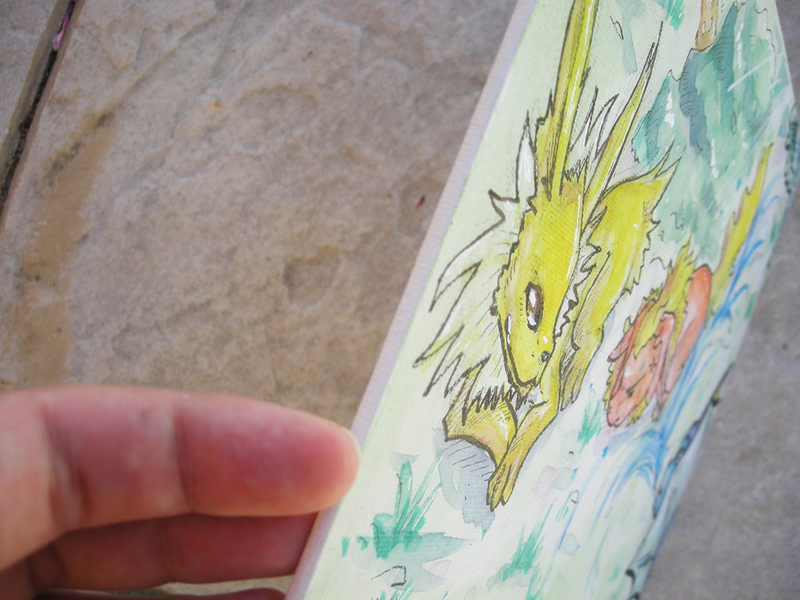 I'm also looking for Cheeeap Pokemon school stuff, like Pencils, Notebooks etc. So please leave a comment so I can stop annoying you all and we'll settle a price! Also I updated my shop with some stuff (including freebies) in celebration of winning a big grail of mine! Hopefully the sales will help me with the not so cheap price a little XD Everyone who buys something from me over the next week will also get a Pokemon Center Plastic Bag for free :D So here goes!